HELLO! WOO right into it! This chapter in the story is told completely by TOM (which does well to keep some of the surprises just that truth be told!) And it all starts with Tom trying to relax a bit. 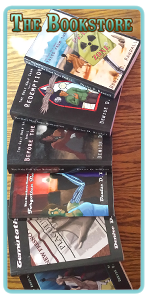 The Spider Forest Anthology, VOL1's Kickstarter has gone LIVE. 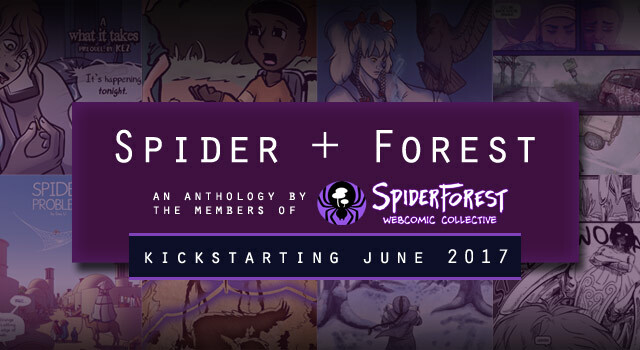 Twenty Spiderforest creators have contributed stand alone comics that somehow incorporate the theme Spider + Forest! There are some really wonderful interpretations of the theme! As a backer you can get some really fabulous rewards, such as sticker, pins, coloring books, personalized art and even cameo's in your favorite comic's pages. My contribution is "Spider Warrior" a seven page, standalone comic about an anthro-arachnid just doing what a spider warrior does. Hunt - fight - protect.